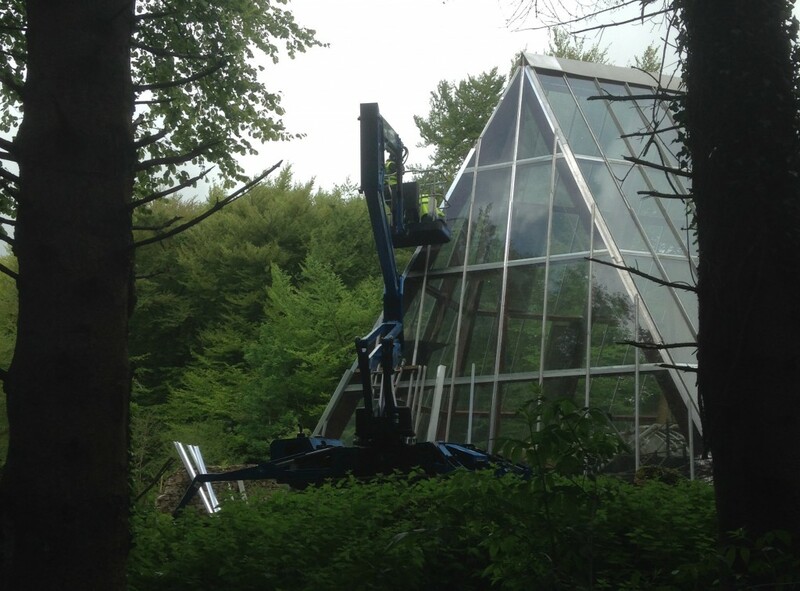 Soft uneven ground, narrow pathways and a glass structure presented Timberline Ltd with a significant working at height challenge when restructuring a storm damaged boat house at Craggaunowen, Co. Clare earlier this year. The specially constructed glass boathouse, reminiscent of a glacier, houses the original ‘Brendan Boat’, a hide boat in which Tim Severin sailed from Ireland to the United States in 1976, re-enacting the Voyage of St. Brendan the Navigator, reputed to have discovered America centuries before Columbus. Timberline Ltd were contracted by Shannon Heritage, the owners of the site to repair the roof of the boathouse which suffered as a result of a fallen tree in the winter storms. Keeping in character with the natural surrounds of Craggaunowen ‘The Living Past Experience’ the boat house is located in an area of uneven sensitive ground with areas of marsh, rocky inclines and narrow access routes. 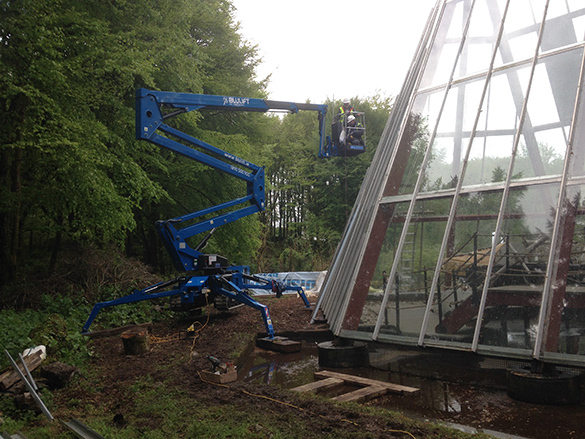 In order to work effectively around these restrictions and repair the glass boathouse, Timberline hired the Blulift Spiderlift 23m. Dave Brickenden of Timberline stated that ‘The Blulift Spiderlift 23m was of particular appeal to us in this incidence taking into account the tight spaces to manoeuvre, the risk of ground damage and the stable platform with controlled precision offered by the Spiderlift 23m’ Available as an electrical power option with tracked chassis, Timberline could gently manoeuvre the machine to the complex surrounds of the site. With low ground bearing pressures and compact stowed dimensions the Blulift Spiderlift was delivered to the site location via narrow pathways and tight corners without restriction. Once erected, he Blulift Spiderlift 23m has a working height of 23m and an outreach of 12m. Of particular interest for Timberline was the proportional electro-hydraulic controls in the basket with 90° rotation and a lift capacity of 200kg. This capability meant that Timberline contractors could operate on a dual basis with 1 operating controls and the other focused on the repair work. 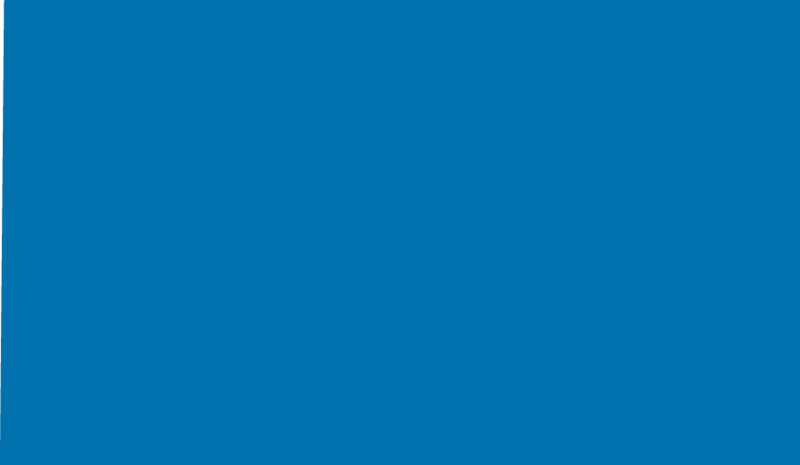 Timberline underwent specialised training prior to hiring the Blulift Spiderlift with onsite service and support as necessary.